There are few things as fun as challenging our brains and our perceptions. That’s why everybody loves brain teasers! So when we saw this test, we couldn’t wait to take a look at it. While it looked simple at first, most people can’t figure it out. Can you? Did you find it? Most people don’t get it, so don’t worry. 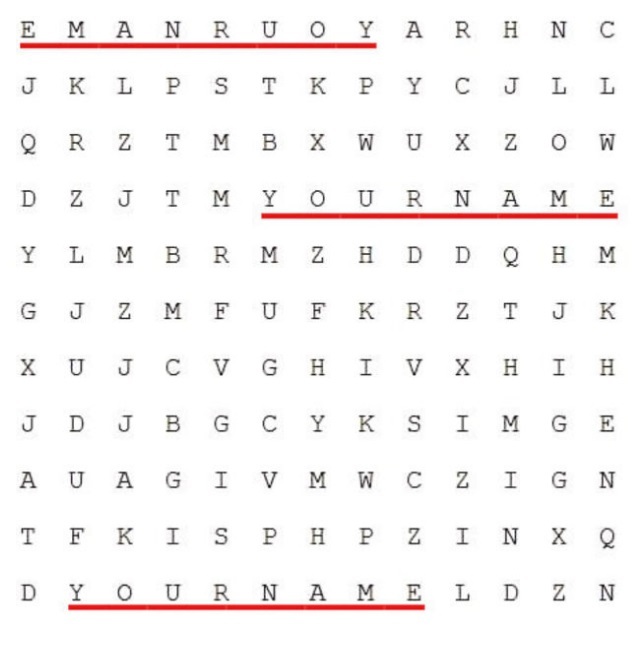 The trick is that you’re not going to find your own name in the puzzle. 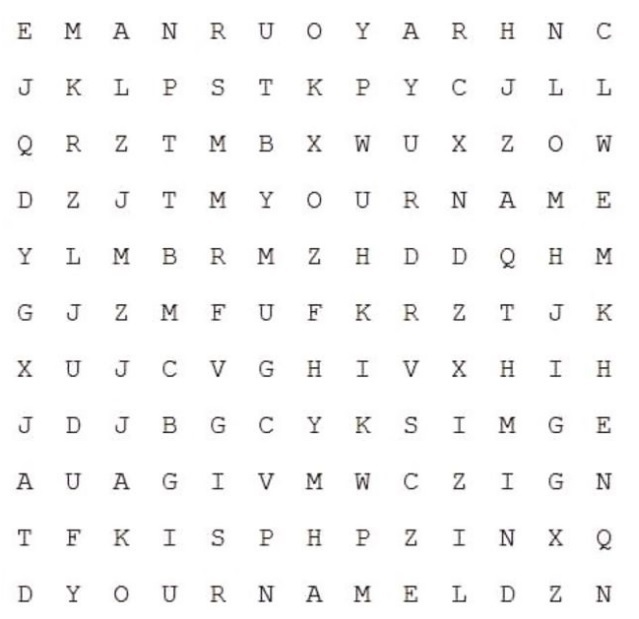 You just need to find “your name,” which shows up in three places! Share this perplexing puzzle with your friends below!